Do they affect subscriber and view counts? Unfortunately we are unable to determine the most important thing, does advert usage affect your subscriber and view count? More subscribers generally equals more views, more opportunities for the video to be shared with others and more chances of your adverts being clicked. On average the users surveyed had a subscriber growth of 7% over a single month. With most of them having a subscriber growth between 8-10%, this seems like a reasonable growth rate for a monthly period. There are two types of adverts, Display advert (either as an overlay on the video or takes up a space next to the video on the right) and In-Stream (adverts which play before the video starts and can be skipped after x amount of seconds). In general the In-Stream adverts pay out more but the downside is they turn more people away, they see the advert and just leave if they are not that interested in your content. By looking at the estimated earnings for the month of June and the total video views, we can work out how many views you need to earn a dollar. With a combined total of just over 245,000 views and just shy of $200 earnt. We get a figure just above 1,200 views per dollar. Take out the erroneous data which some users had due to fluctuations in how much adverts where worth for their videos, and we get a figure nearer to 1,000 views per dollar. This seems to be about the normal figure you can expect to get. Note that this views per dollar calculation is a vague estimate, adverts are worth different amounts and you are only paid for the advert if the user watches all of it (trueview only) or if they click on the advert. It is important to judge when you start using adverts. My advice would be to build a good strong subscriber base and generate lots of views. Without the views anything you earn will be minimal. For example the best views for $1 was just under 500 but this came from a user that was not generating many views and as such they didn’t get much. Most of the money you make will come from older videos which are generating views, these videos attract the viewers that are more likely to click on the advert. By putting adverts on only the videos which generate you regular views, then you will not annoy your subscribers with each upload. An idea is to make a video which might specifically generate views, comments, likes and shares. For example this video, which targets popular videos about fixed gear bikes. This video appears in the related videos and generates views from that. Well I can safely say the money isn’t anything life changing, some youtubers have been able to make a living out of adverts on the videos they make, I’m afraid that cyclists are not anywhere near generating that sort of revenue. 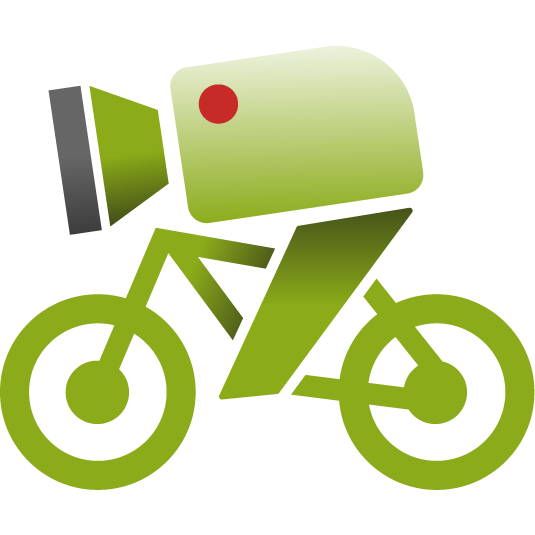 Personally I like to put the money I get from the videos back into the cycling projects I run. Paying for domain names, web hosting, electronic equipment needed to make the videos and getting products for reviews. I mentioned before that a good way to generate revenue is to create a specific video which is targeted at bringing in large audience numbers, getting people to comment, share or like the video. However it needs to be the right content, if you regularly upload videos which are of no particular interest, then you will drive away your audience and see a loss in subscribers, views and revenue. It’s possible to make a small amount of money from adverts, nothing life changing. However doing so can affect your subscriber base and ultimately your views which in turn reduces the amount you will earn. It can be hit and miss, so you will need to analyse how it is performing for you. The revenues from my video’s isn’t very high (they don’t need to be). This year the estimated total is about $ 37. Enough to help pay for hosting, domain names et cetera. PS. Good tips about only enabling adverts for popular videos. PS. I forgot to mention. ‘ve had about 33.600 views of which 57% is monetizable. Am I right in thinking that Youtube will display ads anyway, regardless of whether you choose to monetise your videos or not? The only choice is whether you want to share the revenue from ads, or let Youtube keep it all. No. Youtube will not display adverts unless you choose to (in which case you get the money) or if you put music / sounds etc.. that you don’t own the rights to in the video. Then they will put adverts on and you get zero of the money. That’s strange. I remember doing some testing before I monetised that seemed to show different – that YT was placing the ads anyway. I might go back and switch the ads off then. For the few cents that they produce, it’s hardly worth it. Maybe I can claim to be an ‘ad-free channel’?